Beautiful writing is a trendy and enjoyable skill made easier to master with our brand New Masterclass set. 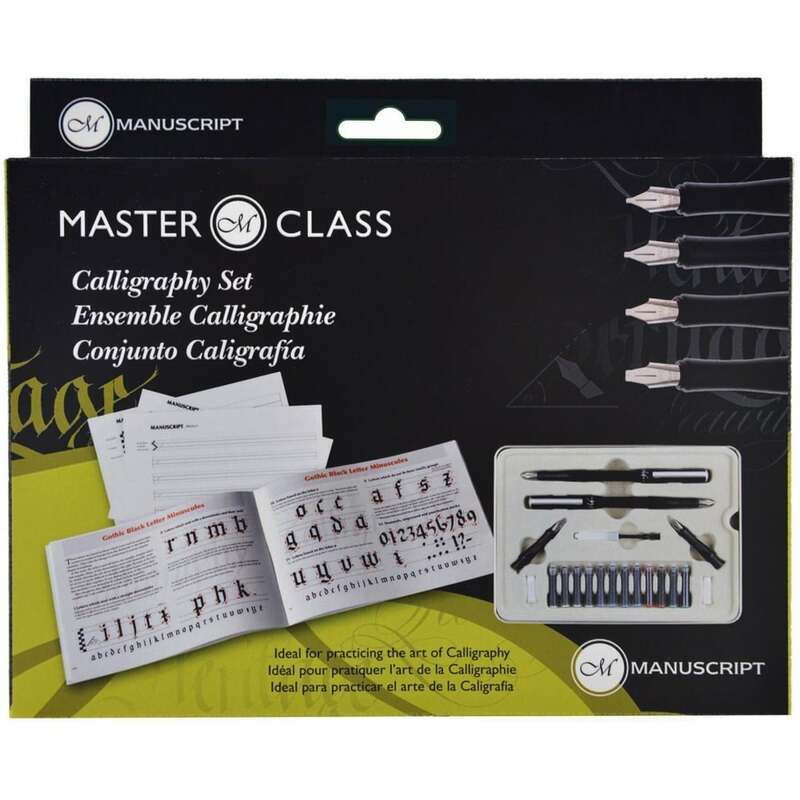 Manuscript's best selling Masterclass set is modernised in this new exciting ing calligraphy has never been so easy and fashionable! Set includes 2 manuscript classic fountain pens, 4 callighrphy nib selection, 12 inks cartridges - black, blue,red and green, ink convertor, pratice pad and letter by letter induction manual.